Toronto is the heart of Canada. This multicultural city offers vast variety for almost everything starting from business, arts, tourist places and off course different cousins from all over the world. 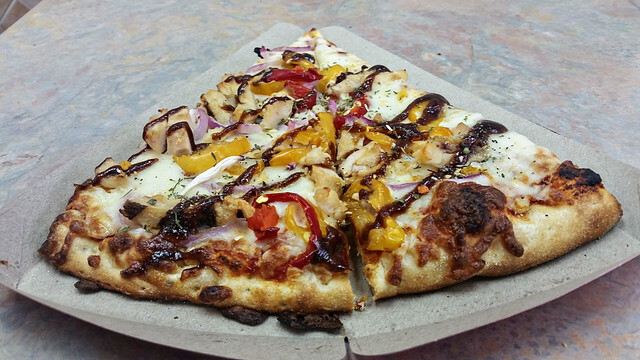 Today I want to share about some extra ordinary places in Toronto where you can find best options for pizza. You definitely better rent a car in Toronto in case you want to visit them all. This bakery is my choice for top of the list of five different places. It is the all-time crowded and all-time favorite place for Italian food lovers. Established in 1969, they have travelled far and fast. They make their own bread and pizza bases. Their pizza is just perfect in terms of base, topping, flavors and serving as well. The flavor they offer is just irresistible. This is the one of the best pizza you will get in city or saying in Canada itself won’t be an exaggeration. Taking about their other servings which are bakery items and café menu as well, I only can say that, this that one place where nothing can go wrong (in terms of taste). Their entire menu it loved by their customers. Cannoli, Donuts, custard tart, currant cheesecakes, Caramel crunch cake, and coffees and espresso drinks are few of must try menu. 2. Overly over crowed in weekends. Weekdays are also most no different. 3. Long lines on each counter. 4. Lack of good parking. Nevertheless, I would say all above are the signs of a very good place. So don’t let them down your spirits for visiting the place. There is nothing wrong in their pizza as they are placed second in order, it is only because of wide range of menu of SanRemo they got first spot. Nothing to take personal frank, your pizza’s are perfectly best. This is the place where you would be getting complete freshly made pizza and pasta. If you wants to sit in Toronto and take feeling like Italy, you are at perfect place boss. Even their range of salads-Greek salad, Caesar salad or frank’s house salad is just magical and has the ability of making regular customers for Frank’s. 1. Customer service is very poor. 2. Might not get delivered on time. If you are ready to neglect this, you are warmly welcomed at Frank’s. 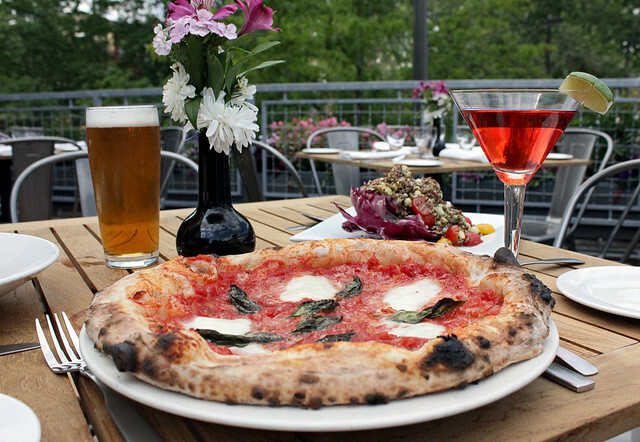 IF you are in search of perfect Napoli pizza, then be sure that you have found it. 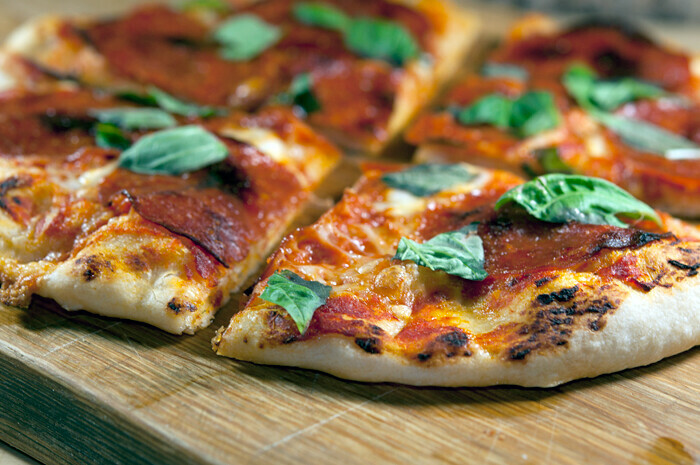 The variations of Margherita pizza are fabulous one. It is one of kind in whole Toronto. Fast service and relaxing atmosphere is few of other attracting pieces of the place. They have one more specialty in the form of their well stored Bar. Their wine collection is timeless. You just need time to appreciate it. Their only little con is that, they don’t have reservations. Goes on first come first serve bases. However, little waiting is okay, for such a tasty romantic affair. 30 years of serving and still in great bussinss, is something you can account as the important factor in the call. it is the place for runtime orders. Best taste, best quality, fast service, helpful staff and most important very inexpensive, this all you need to run a pizza hub for 30 years without break. Its inexpensiveness is the major driving factor for its coustomers. However, don’t think for a sec that they would be compromising on their quality, no not at all. It is routine, daily visit place, which will never fail you in any department. It is the comparatively newest of all above-mentioned places, but already giving them tough time. Already created their own loyal customer base. It is the place where you can grab your lunch in run time. They have their own kind of taste and practically affordable menus for even teenagers. Only problem with them is they won’t offer reservations.